Easter Fun at IPC! 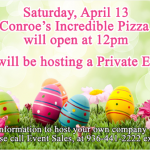 - Incredible Pizza Company - Enjoy our huge all-you-can-eat buffet, indoor Go-Kart Races, Bumper Cars, Route 66 Mini Golf, a huge video game arcade with prizes, Bowling, and more! The weather is turning warmer, the trees are budding and flowers are blooming…it’s Springtime! And one of the first holidays to celebrate this fresh time of year is Easter! We couldn’t help but join in the fun that Easter brings! First, this Wednesday, April 10, we’re hosting April’s Mommy & Me event. This is a special time for Mommies and Toddlers to come to Incredible Pizza for some interactive fun and dining together. The event begins at 11:00 a.m. and includes the Incredible buffet, drink, $5 game card and all the fun stuff for just $10 per person. 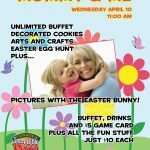 There will be arts and crafts, cookie decorating, an egg hunt and a special appearance by the Bunny! There is always lots more entertainment back in the Fairgrounds, the perfect place for more play date fun! Mamas, invite your playgroup pals and get social with your little ones! On Saturday, April 13, we’ll open to the public at Noon, just a couple of hours later than usual. The restaurant has been reserved for a private event that morning. Did you know we do that? We can offer extended hours for your group to host a special event at our location, and you can reserve the entire place for just your group. If you’d like to learn more about this program, call us at 936-441-2222, ext. 26. 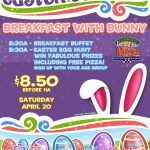 And, just before Easter, on Saturday, April 20, we’ll host our annual Easter Egg Hunt and Breakfast with the Bunny! What a fun morning full of special surprises! Doors open at 8:30 a.m., and the Incredible buffet will be full of breakfast goodies like sausage, eggs, biscuits, gravy and more! Oh, and don’t miss the cinnamon rolls!!! 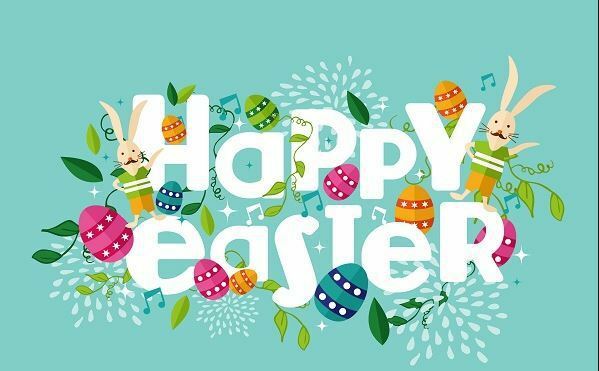 Be sure to join in the Easter Egg Hunt fun at 9:00 a.m. We’ll have that event split up by age groups, so grab your basket, line up and get ready to find some Easter Eggs! We love to fill ’em up with candy and special prizes! You could be a big winner!!! The event is just $8.50 per person plus tax until 11:00 a.m. The Bunny will be visiting with guests, so snap a picture while your kids are visiting with him! And, on Sunday, April 21, we will be closed for the day of Easter. This is such a special holiday, and we want our guests and employees to enjoy the day with family and friends. We’ll open again at 11:00 a.m. on Monday, April 22. We can’t wait to see you during our fun-filled April!